At Continental, we have a long history of supporting charities and giving back to the community. From our holiday food, toy, and clothing drives this winter, to supporting Rotary Wheels for Learning, to Relay for Life, we’re always delighted to give back. While we participate in many seasonal fundraisers throughout the year, we also offer group rates for charities all year long! Continental offers exclusive rates and discounts for all groups travelling together. 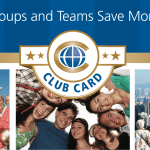 The larger the group, the bigger the savings! We think it’s especially important for charity organizations to take advantage of our group rates since members are already spending their valuable time and money to help those in need and shouldn’t have to spend more than they have to. When charities and missions are able to save, they’re able to spend more money where it matters. Continental has been able to help group travellers on several occasions. From sending the Green Gaels on to tournaments out of the country, to the many destination wedding parties, family reunions, and school trips, we love taking some of the stress out of group travel! Whether or not you’re taking advantage of our group discounts or other promotions, all of our services are affordable and fairly priced. Our Best Rate Guarantee means that if you can find a better rate in our local area that we can verify, we’ll beat it! So, you know you’re always getting the best exchange rate and the best bang for your buck. We think charities and missions should spend as much of their money on their noble causes as possible – which means coming to Continental and saving money! Want to learn more or take advantage of our group rates? Visit us today! Sports Teams Save at Continental!